These are yummy! 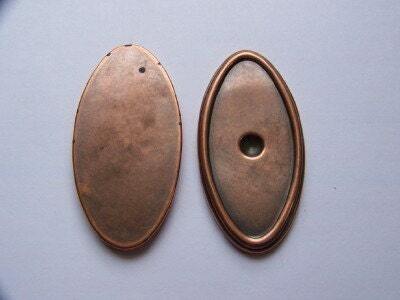 These cabochon settings are a beautiful antiqued copper. They are vintage, 1980's at least. You could use these for altered art or to mount photos. 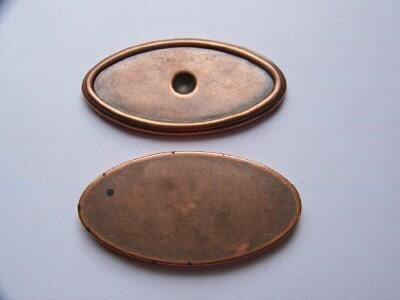 These measure 70mm X 35mm and hold a 60mm X 28mm stone or cabochon. You will receive 2 of these.